Commissioned work always begins with photographs of the desired subject. Once composition concepts are decided, sizing and paper selection is decided as well. 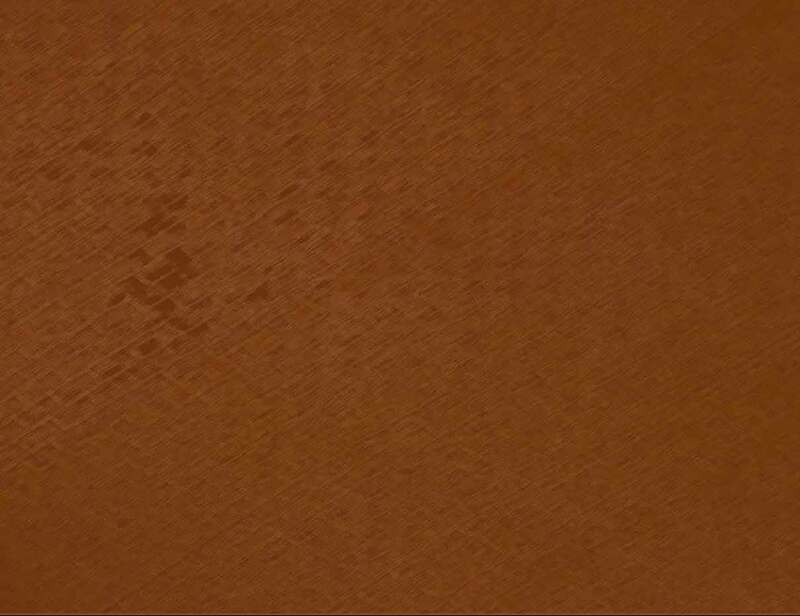 Minimum time required for a painting is 6 to 8 hours with some pieces taking up to 16 hrs. plus to complete.. Most commissioned pieces are approx. 8 1/2 x 12 inches. The subject will be graphically laid out and briefly sketched to assure proper scaling and balance with background. Prismacolored pencil requires layer upon layer as colors are blended in preparation for the final softening and highlighting with pastels. White acrylic may also be used as a final highlight technique. The work is finished with a workable fixative. Double matting with glass dust covering is standard procedure. Original framed works will range from $300 to $800. Some commissioned pieces may require a deposit of 50% of the estimated cost. 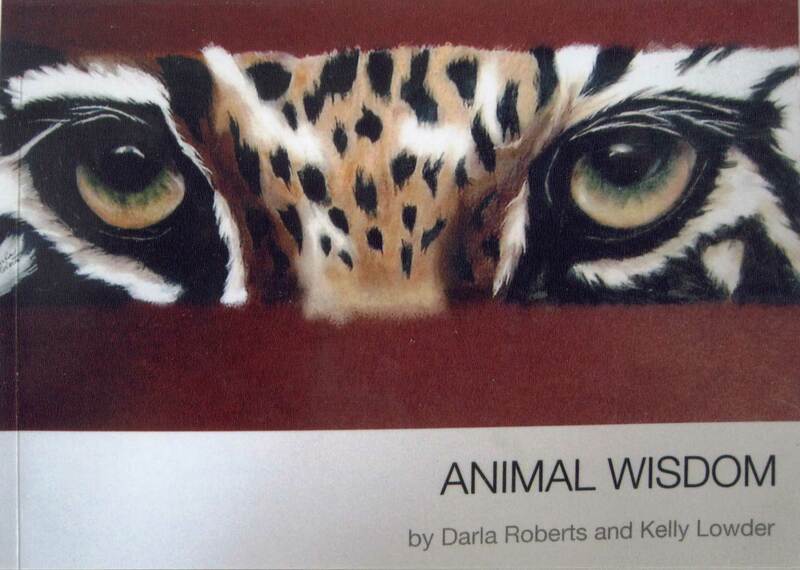 Animal Wisdom is a 5 x 7 soft cover book containing a collection of Darla's work accompanied with the poetry of her daughter Kelly A. Lowder. 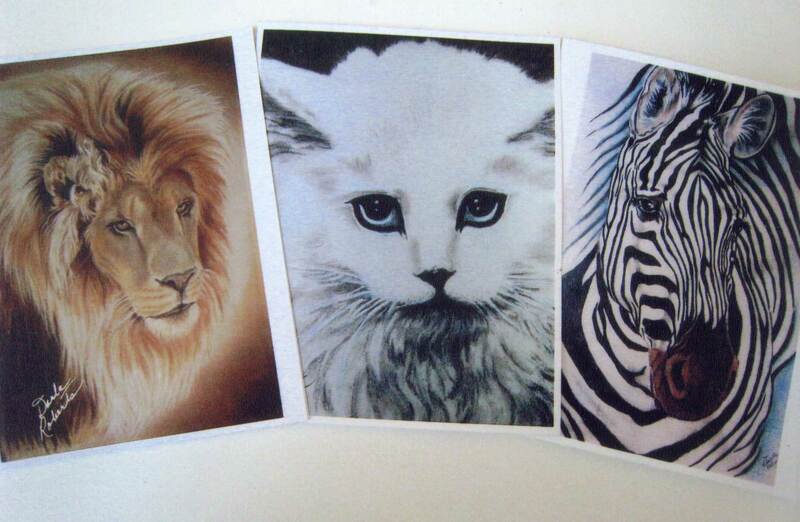 Greeting cards showing many of Darla's original paintings are available in 4 x 6 packets of 3 for $10.00 plus tax and shipping.